Got the kit for my birthday so I thought would stitch this up for my birthday month. Isn't he a cutie?? 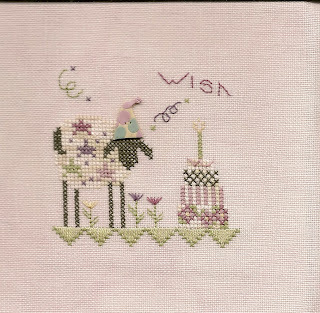 Birds of a Feather "Mystery Sampler" pt 1 by With Thy Needle & Thread-A Brenda Gervais design of Country Stitches. Was so excited to get this today. I love the wonderful colours and fabric. 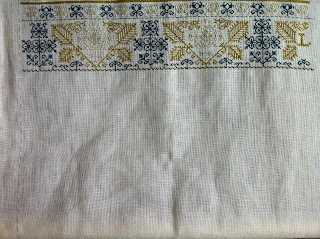 Our Sampler Guild Sampler Guild of the Rockies is stitching this as a SAL along with the "Soar" design by her also. Suppose to have both done by Sept LOL. I plan on doing the Mystery Sampler at home in the evenings-the Soar at work on my breaks and hopefully I can still get some done on my Loara Standish sampler on the weekends. You an order all her wonderful charts from Fancimats. A wonderful little shop in Littleton, CO. I figured there isn't any sense stashing them away when others might enjoy them. The link is to the left. Check back often becasue I have a basket full of samplers etc to add. 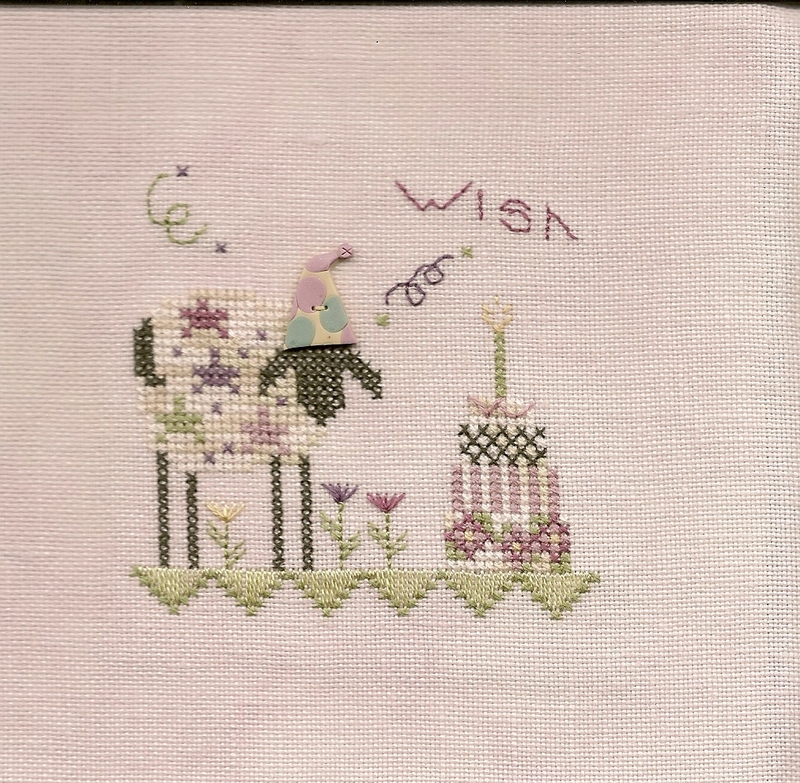 From the Gift of Stitching Magazine June 2007. I added missing letters and replaced the saying with SGR 2011. 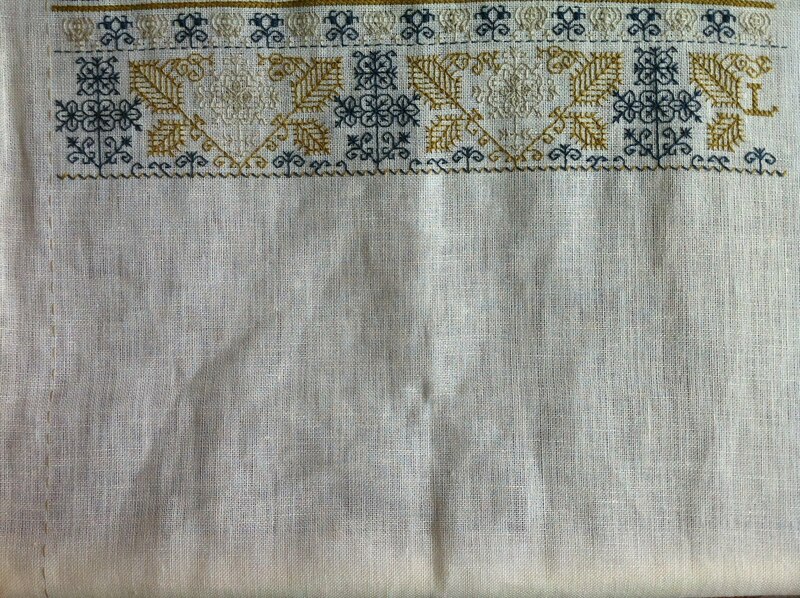 I also substituted the colours with GAST threads. Notes etc under the Loara Standish Blog but just wanted to share.